It was a day full of love, happy tears, simple elegance, and true celebration. 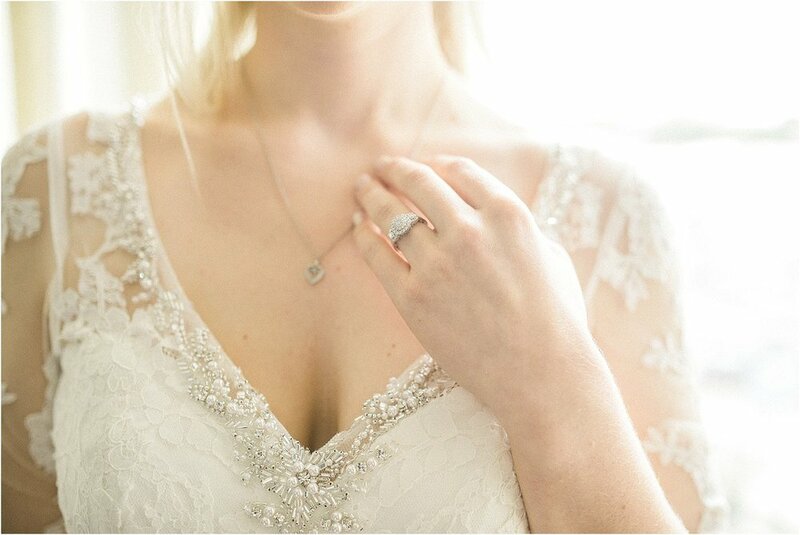 We are so thrilled to share Greg and Stephanie's West Knoxville wedding today. Our day began with the couple at Embassy Suites, a hidden gem and truly lovely indoor venue, as they prepped for their big day. 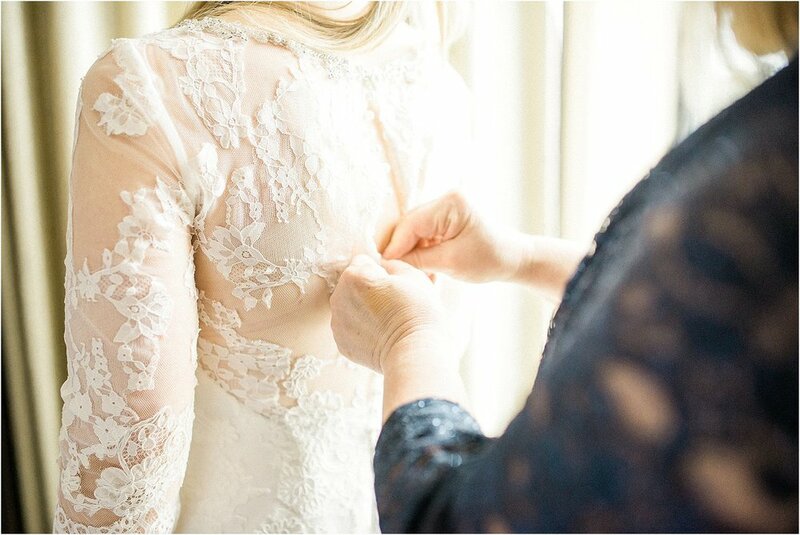 We absolutely loved Stephanie's traditional lace gown with shimmering embellishments as well as her choice of full length navy bridesmaids dresses complimented by beautiful white and green floral arrangements. The couple's first look at Founders Park at Campbell Station allowed the two to share some intimate moments before joining their bridal party for some playful shots. The Catholic ceremony took place at St. John Neumann, a gorgeous church adorned with stained glass windows, intricate stone statues, and rich wooden pews. 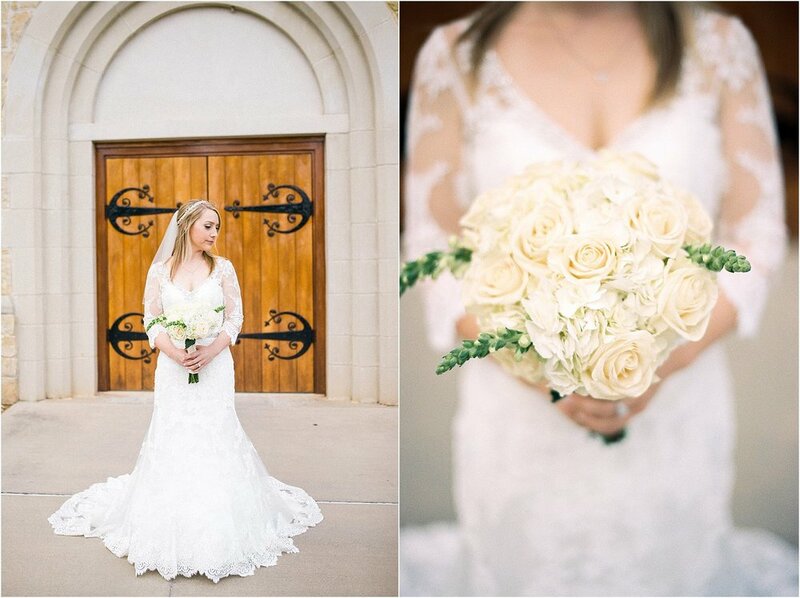 We loved having a moment to grab some bridal portraits of Stephanie outside in front of the oversized doors amongst a stone façade.The surroundings added reverence for the true meaning of the day, the joining of their lives as one before God, family, and friends. The reception, held in the Tennessee Ballroom at Embassy Suites, featured elegant centerpieces created by the groom's mother, and incorporated some awesome dance moves and a little bit of karaoke from the couple. A sparkler exit ended the perfect day for this newly named husband and wife. 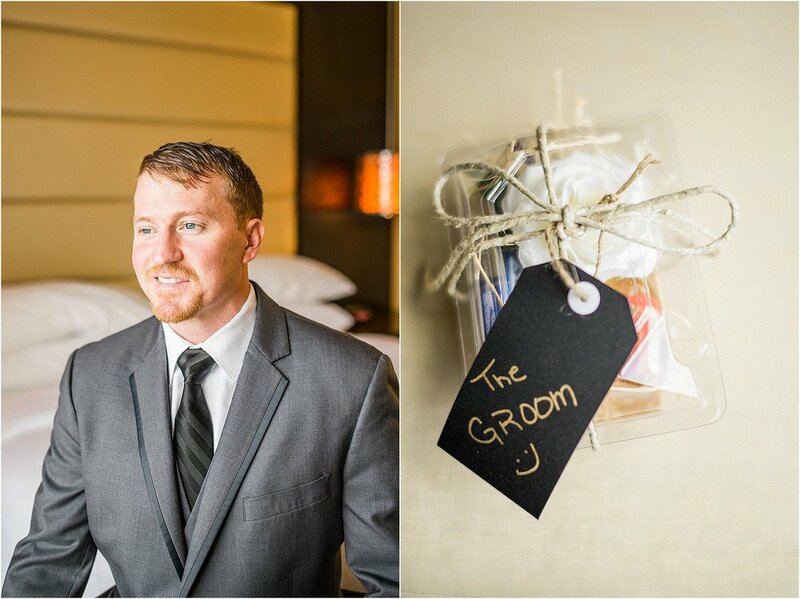 We hope you enjoy Stephanie and Greg's big day as much as we did!